ORS-5 is a single satellite constellation with a primary mission to provide space situational awareness of the geosynchronous orbit belt for Combatant Commanders’ urgent needs. 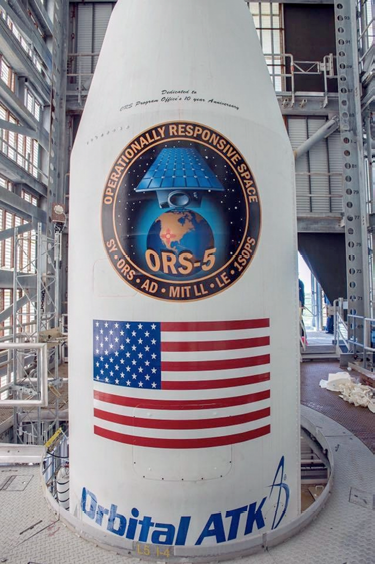 ORS-5 is not only a significant milestone for the ORS program office, but for the 45th Space Wing. According to Brigadier General Wayne Monteith, 45th Space Wing commander and mission Launch Decision Authority, this successful launch shows the Wing is on track to complete 30 launches. The launch also signifies the barriers the 45th Space Wing is breaking to guarantee assured access to space. ORS-5 marks the first Minotaur IV launch from Cape Canaveral Air Force Station and the first-time launching from SLC-46 since 1999 and demonstrates the Range’s ability to support every vertical launch system in the U.S. inventory. The Minotaur IV includes three solid rocket motors from decommissioned peacekeeper intercontinental ballistic missiles (ICBM). Engility Holdings, Inc. has won a $39 million contract award with the Space and Naval Warfare Systems Command (SPAWAR) Program Executive Office of Command, Control, Communications, Computers and Intelligence (PEO C4I). As part of the contract, Engility will help the PEO C4I Ship Integration Program Office (known as PMW 760) integrate network and communications systems and develop a single, consolidated and secure technology platform baseline for U.S. Navy and Coast Guard fleets. PMW 760 is responsible for designing, integrating, testing and delivering interoperable, cyber-secure capabilities to the Navy and Coast Guard during new construction and modernization. Engility will support PMW 760 as it begins integrating technologies toward a common C4I capability baseline for Navy and Coast Guard ships. This second quarter 2017 win is a cost-plus-fixed-fee contract, with a base year and four one-year extension options and represents new work for Engility. Lynn Dugle, CEO of Engility, stated that PMW 760 enhances the U.S. Navy’s flexibility and efficiency while increasing warfighter capability, establishing a technology platform capable of meeting the diverse and evolving threats facing our armed services. Lynn added that Engility will deploy domain expertise in cyber security and enterprise modernization to assist the Navy in IT service delivery, cyber technical leadership, fleet operations and C4I systems. CPI's Model TL05XO 500W SuperLinear offering. The Satcom & Medical Products (SMP) Division of Communications & Power Industries LLC (CPI) has been awarded an exclusive contract that totals more than $5 million to provide high power X-, Ku- and Ka-band traveling wave tube amplifiers (TWTAs). The amplifiers will be part of an upgrade to existing mobile satellite uplink terminals operated by the U.S. military. CPI is one of the largest global manufacturers of high-power communications amplifiers for satellite uplink applications, whose broad product line includes GaN-based SSPAs and Gallium Arsenide-based SSPAs, as well as TWTAs and klystron power amplifiers. 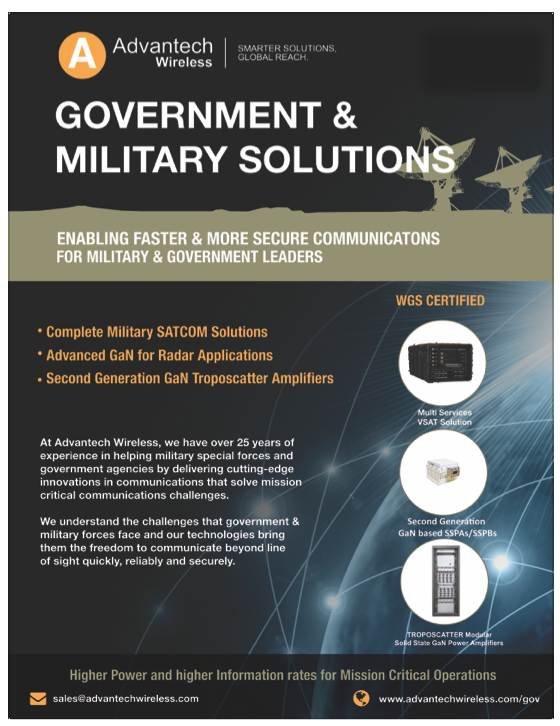 These products are used in fixed and mobile gateways in support of commercial and military communications around the world. Gerard Charpentier, VP of Business Development for the SMP Satcom Products Group, explained that CPI has supported this program for the U.S. military for more than 15 years — the company was selected for this contract because of the firm's quality and continued technical support of this program and ongoing support of the U.S. military. Photo of a Russian launch is courtesy of the author. This was information passed to the news agency by Igor Komarov, the head of Roscosmos. "This year we have already carried out 11 launches not including launches from Kourou spaceport (in French Guiana). We will have up to 25 launches by the end of the year," the Roscosmos chief said. "Benchmark figures for next year are the same," he said at the Army-2017 forum that opened outside Moscow. According to the chief of the Space Corporation, this figure is expected to surge in 2019. In 2016, Roscosmos conducted only 17 space launches, which put Russia in third place behind the U.S. and China for the first time in the past few years. 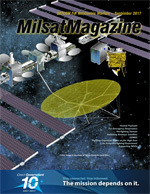 Gilat Satellite Networks Ltd. (NASDAQ, TASE: GILT) has received orders of $11.4 million, net of local taxes, to provide state-of-the-art communication solutions and technologies for a satellite-based broadband network to serve the Brazilian Geostationary Satellite of Defense and Strategic Communications — SGDC. The SGDC will cover all of Brazil’s territory and will enable Telebras to fulfill the Brazilian Governmental National Broadband Plan public policy. The Brazilian satellite — SGDC — is planned to provide fast and affordable broadband communication to commercial and government entities. Russell Ribeiro, Gilat LATAM’s Regional VP, noted that Gilat is the satellite communication pioneer in Brazil and this turnkey project with Telebras is testament to the firm's commitment to this market and to Gilat’s strategic direction in support of broadband satellite communication delivery to all. Additionally, the company has reported that NTV-Plus has selected the broadband service developed by Eutelsat Networks and powered by Gilat’s high-performance VSATs to offer high-speed internet to DTH subscribers across the European part of the Russian Federation. Gilat’s satellite solution provides affordable high-quality broadband, leveraging multi-beam high throughput capacity on the Express AMU1/EUTELSAT 36C satellite, whose wide-beam capacity is already used by NTV-Plus for TV broadcasting. 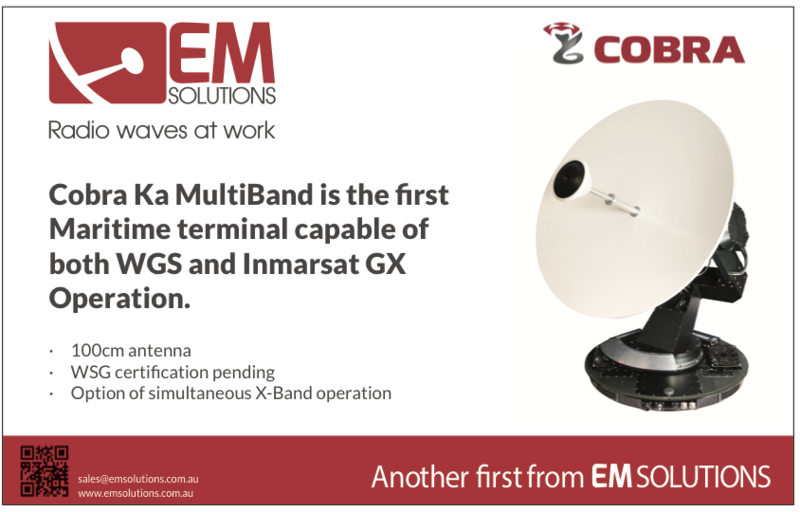 The service is based on Gilat’s Gemini (for enterprise) and Scorpio (for consumers), VSAT-in-a-Box outdoor terminal, both supporting self-install and automatic service activation. Spaceflight Industries has announced that BlackSky has been awarded a two-year $16.4 million cost-plus-prime contract with the Air Force Research Lab (AFRL) to develop and deliver a cloud-based geospatial intelligence broker platform — the brokering platform will provide on-demand analytics, collection, and information services from global data sources. The BlackSky Geospatial Solutions team brings extensive expertise in geospatial intelligence, commercial remote sensing, cloud-based architectures, geospatial analysis, and machine learning to help customers harness the power of global data sources to gain improved situational awareness and actionable intelligence. BlackSky is a division of Seattle, Washington-based, Spaceflight Industries and serves government and private sector organizations with solutions enabled by the BlackSky platform. Within the platform, users can access BlackSky Spectra’s on-demand imagery service to search, purchase, task, and download visual imagery and multi-spectral data from a global collection network. They can also subscribe to BlackSky Events, the platform’s global event monitoring service that fuses news, social media, industry data services and physical sensor networks to provide early warning and insights on risks, threats, and opportunities that can impact their business. 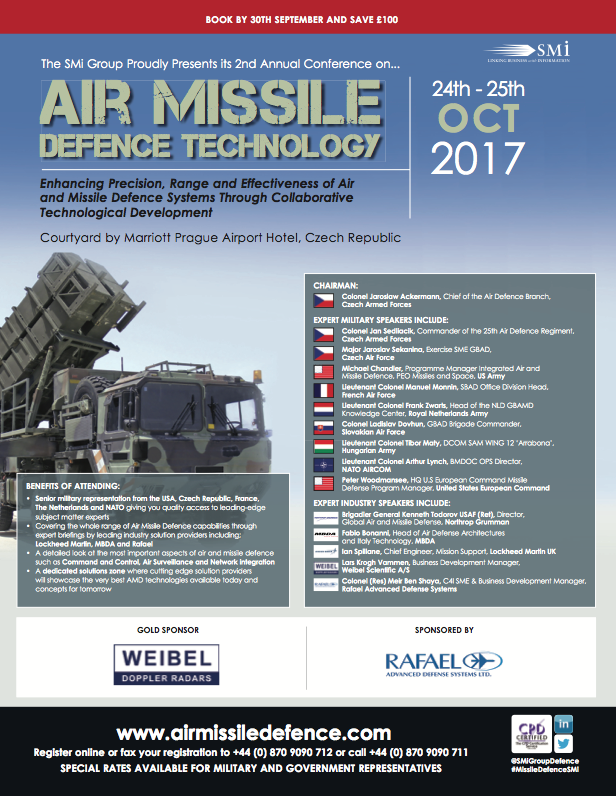 Brian O’Toole, executive vice president and chief technology officer of BlackSky, commented that this partnership with the U.S. Air Force and U.S. Government stakeholders on the development of leading-edge anticipatory analytics and commercial GEOINT brokering capabilities offers easy access and streamlined delivery of timely and relevant insights about this changing world, essential to faster and more informed decision making. The BlackSky platform combined with the company's world-class solutions team is proving to be a key enabler for accelerating customers’ success. According to Kratos Defense & Security Solutions, Inc. (NASDAQ:KTOS) their satID® satellite interference geolocation product offers the industry’s only TDMA network geolocation capability to combat VSAT interference. The satID®'s geolocation capabilities can routinely locate satellite interference well within 5 km of the source and the TDMA geolocation module enables satID to classify the signals from a TDMA network and provide geolocation results per terminal using advanced classification, filtering and processing. Additionally, the TDMA's SatGuard technology identifies VSAT terminals by their ID to generate significantly more geolocation results. David Wilkinson, Kratos’ satID Product Manager, said that the TDMA network geolocation module dramatically improves the geolocation process for their customers, and the advanced capability transforms the way TDMA geolocation is performed. Operators are able to identify the specific terminals causing interference and pinpoint their exact location to rapidly address quality of service issues. 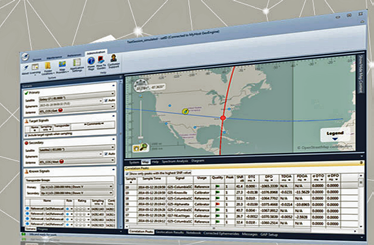 Beyond interference mitigation the TDMA network geolocation module can help organizations in the satellite industry gain much better visibility into VSAT networks. By geolocating VSAT networks, it becomes possible to profile and understand TDMA network usage enabling improved operations. improve capacity planning efforts to optimize beam coverage and bandwidth allocation. The TDMA network geolocation capability adds to the existing modules available for satID. These modules include a signal cancellation capability that leverages the technology from Kratos’ SigX product to enable customers to perform geolocation scenarios much more efficiently and effectively. The module helps mitigate the effects of blocking carriers with a real-time signal removal capability. In addition, an advanced spectrum analysis option employs features from Kratos’ Monics® carrier monitoring product to provide carrier-under-carrier, modulation analysis and a new threshold triggering capability within satID. 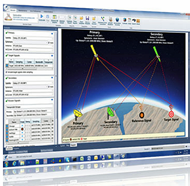 Kratos’ satID is part of the Monics family of advanced carrier monitoring and interference mitigation suite of products. The RFI mitigation suite includes carrier monitoring capabilities from Monics, VSAT interference management from SatGuard and signal cancellation from SigX. Airmen assigned to the 184th Intelligence Wing reported to McConnell Air Force Base, Kansas, August 31, to assist in the ongoing relief efforts following Hurricane Harvey in southeast Texas. Staff Sgt. 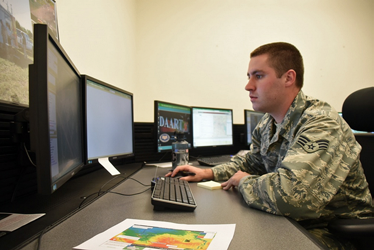 Luke Vanderpool, 161st Intelligence Squadron, Kansas Air National Guard, uses commercial satellite imagery to find routes that are clear for first responders to travel through. Vanderpool was activated in response to Hurricane Harvey, a Category 4 storm that flooded Houston and the surrounding area in late August. Photo by Command Sgt. Maj. Matthew McCoy, 184th Intelligence Wing. The Category 4 hurricane reached its full intensity directly as the storm made landfall August 25 near Rockport, Texas. Four days of concentrated rainfall caused catastrophic flooding in the region, engulfing thousands of homes and causing massive evacuations. As a result, Texas Governor Greg Abbott activated the Texas National Guard for search and rescue, as well as recovery and clean-up operations. At the request of Texas, other states, including Kansas, have joined those efforts. “In response to their request, the Air National Guard stood up the 10 different unclassified Processing Analysis and Dissemination sites around the country to provide support here,” said Major Dave Olds, officer in charge of the Processing Analysis and Dissemination cell. The PAD sites receive video footage and imagery of the area and make products that are used by civilian and military personnel making decisions on the ground. Products include maps and images, aerial video clips, lists of blocked roadways, and more. While other Air National Guard units were locating people, these Airmen were playing a different role. Airports were the main priority of the day. “We’re doing some flood analysis products for some of the regional airports in and around the Houston area,” said Olds. As the National Guard and other agencies bring personnel, supplies and vehicles, finding a runway that isn’t flooded becomes significant. Regional airports were also being used as evacuation hubs. The PAD is a program that was developed over that last few years. Kansas is no stranger to devastating storms, and supporting emergency management agencies is one of the key focuses of the 184th Intelligence Wing. The hard work seemed to pay off, though the real reward was the opportunity to serve. Story by MSgt Matthew McCoy, 184th Intelligence Wing, U.S.A.F.